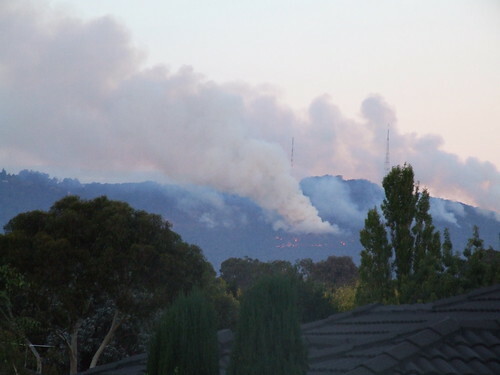 A planned burn in the Dandenongs, Victoria, Australia. It doesn’t look it to the untrained eye, but this actually a controlled fire. Firefighters do these burns to reduce fuel load to reduce the risk of serious bushfire. The smoke blankets numerous suburbs when they do this.